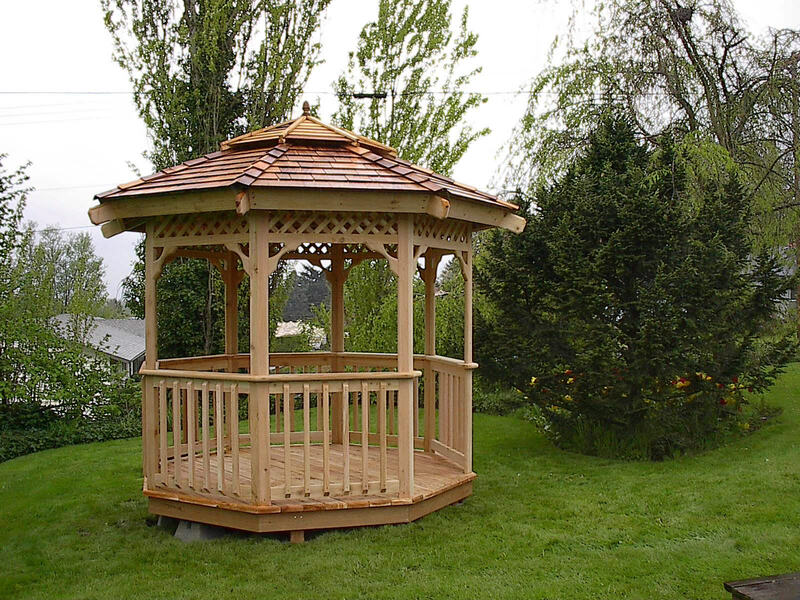 The 10' Traditional style Gazebo Kit. The 10' Traditional with a cedar shingle roof. 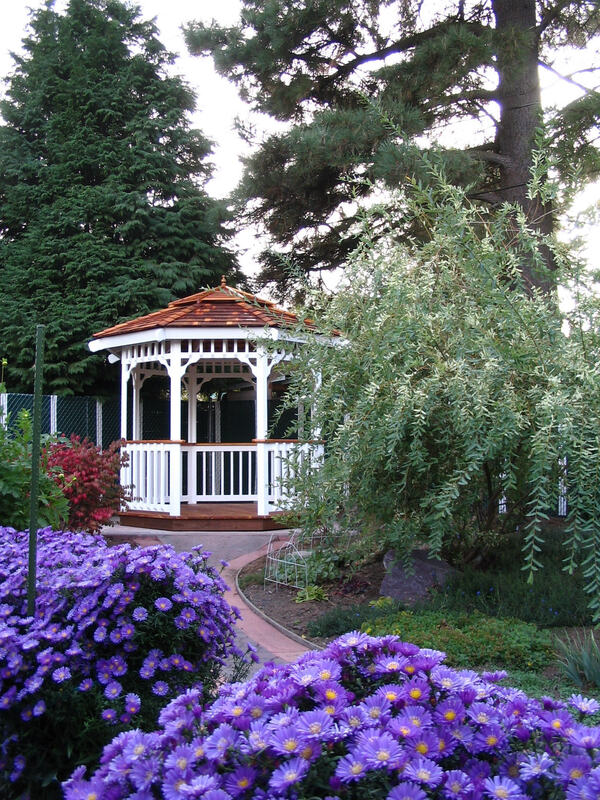 The 10' Traditional style gazebo is the most simple model we offer, enabling us to hold elegant lines and yet we lose nothing in structural strength. 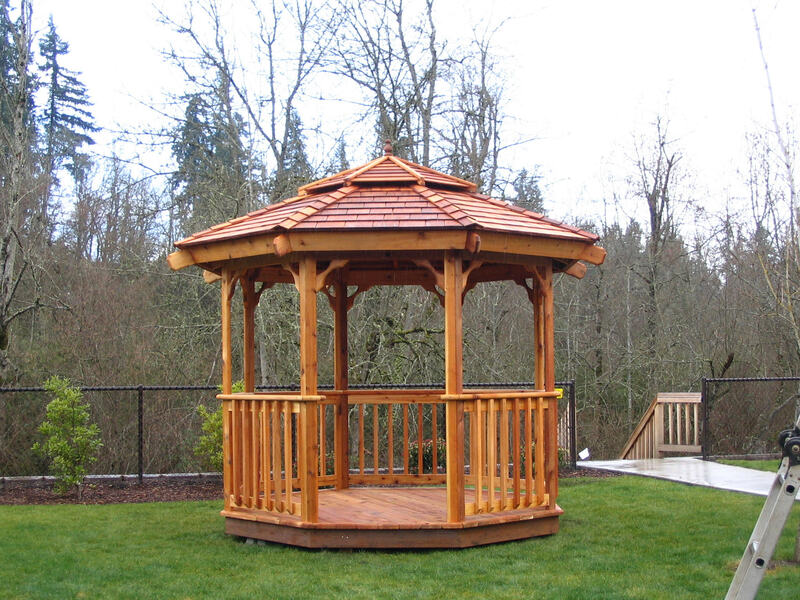 Our Traditional style Gazebo is constructed using select tight knot western red cedar. We manufacture this product into fully assembled panels and components, using 3" yellow zinc screws. The floor comes in 4 quarter panels , the sides are fully constructed, stand them up and fasten together. The roof has 4 pie shaped components with 4 ( assembled on site) inside components to make up the roof framework and 8- fully assembled cedar shingle roof panels that drop into place. The Deck is built into 4 qtr panels. This Gazebo can be ordered with or without the deck, It is normally installed on concrete deck blocks using a pt 4x4 to level ...( this is the customers responsibility to purchase at their local building store. Our instructions do show you how to use them and where to place them. There is some assembling on site however everything is pre-cut to fit, and pre drilling is recommended however not necessary as cedar is a soft wood. This project will take approximately 4-6 hours to complete. Check the shipping rate below for your state, The price will be added when you apply your zip code at check out. 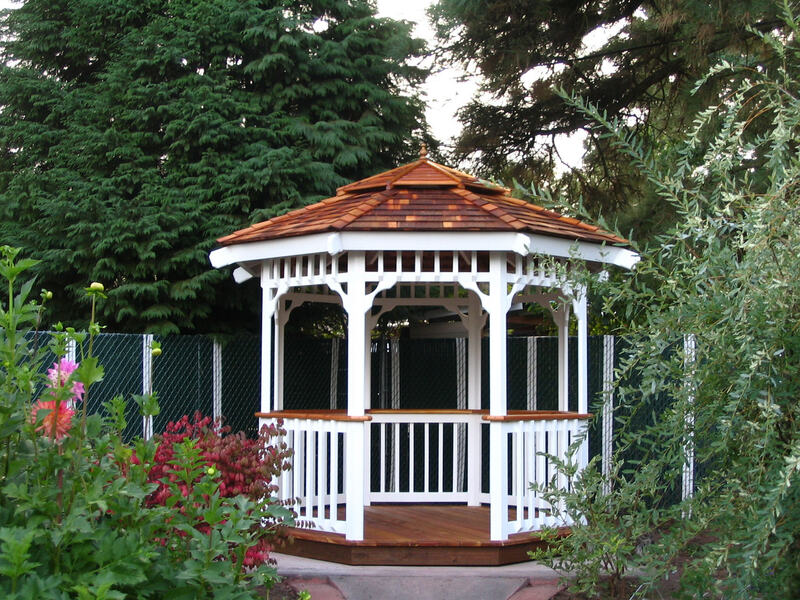 10'- Gazebo Structure only ................................Weight is 1000 lbs for structure. 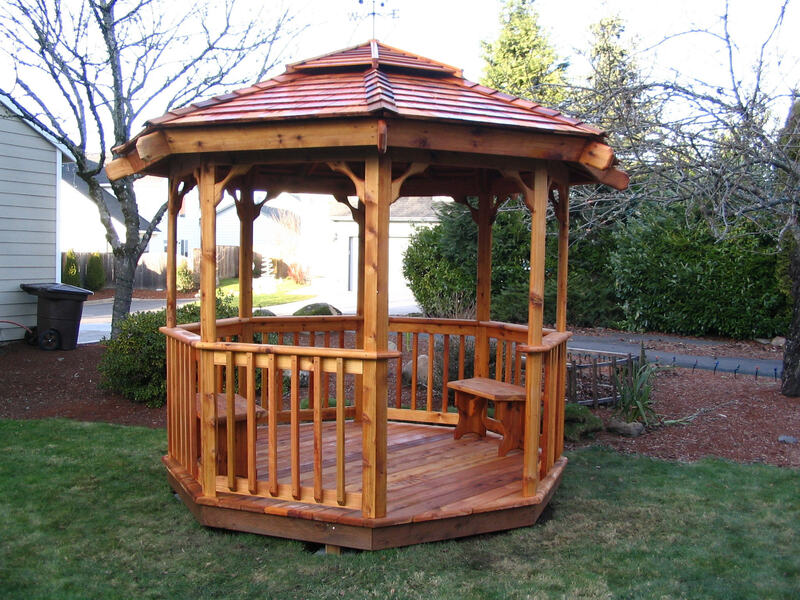 10'- Gazebo Structure with Deck ..................Weight is 1500 lbs for structure and deck. An E-mail confirmation will be sent when order is received. Locate your state within the zone chart. Proceed to step 2. Locate your zone and weight of product to determine shipping cost.